The Port Hawkesbury Paper mill has ended its temporarily layoffs as planned after one week. 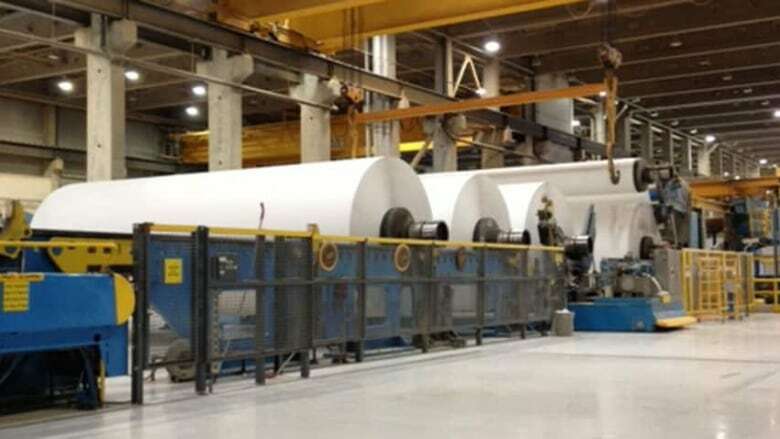 The facility in Port Hawkesbury, N.S., temporarily stopped production of supercalendered paper — the smoother, thinner paper often used in magazines. The development manager at the mill, Marc Dube, said about half the mill's 330 employees were affected, and about 40 per cent of them took the stoppage as vacation. He said he can't guarantee that similar stoppages won't happen, but he'd prefer they didn't. Dube said their customers' orders change size so the mill can't produce stock rolls in advance. "It's better to take downtime than trying to guess what the customers want in the future," he said. Nothing has changed at the mill, and workers were disappointed but understood why the shutdown happened, according to Unifor Local 972. "The paper market is more difficult than it's been previously, so there's less paper being used as a whole," Dube said. "And there's more competition coming from Europe into North America."